Today again is Visual Studio extensions Friday. Today extension is a great one: “Visual Micro for Visual Studio 2015“. There is an update for this one today, and this weekend is going to be some Arduino work, so let’s go for it. Visual micro is a free Add-In for Microsoft Visual Studio 2008-2015 which allows you to develop, compile, and upload Arduino projects in any Arduino board. The extension allows you to uses the same libraries than the traditional Arduino IDE, and yu must add all the advantages of working in Visual Studio IDE : Intellisense, compilation on 2nd level, code with GIT or TFS management, etc. 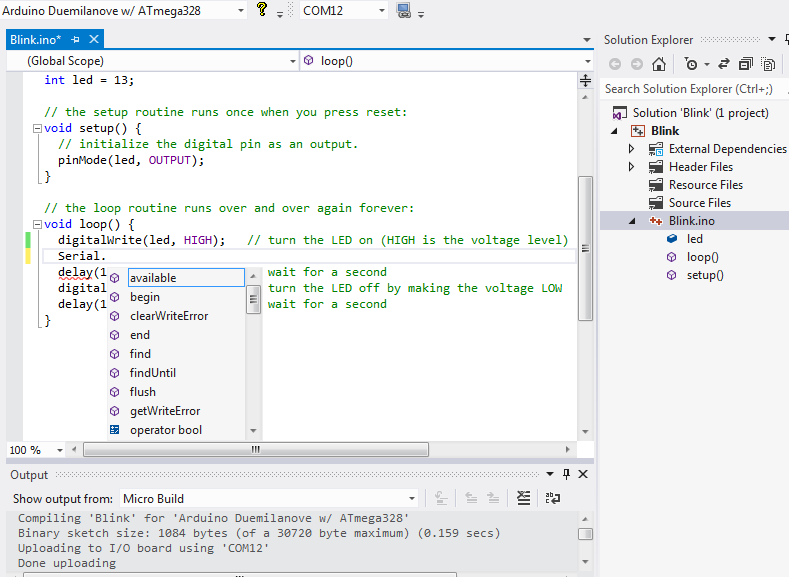 Another interesting feature in Visual Micro is the ability to debug Arduino projects. This makes it a very original way, and in any event I mentioned how it works. Important, this feature is not free. Well, if you want more information I recommend you visit the home page of the product, and if you have an Arduino by hand, because you can change your IDE and use Visual Studio. The reason to switch from the original Ardiuno IDE to something more sophisticated is because you want more features, more control and a better editor. On some of these aspects VisualMicro / VisualStudio delivers. But the integration of VisualMicro with for instance the C++ project it runs on is minimal. VisualMicro stricktly follows the Arduino IDE rules for compatibility which is fine, but it does not allow/support any advanced configurations. It does not support creating Arduino libraries and intellisense sort-a works but not always. To expand my horizons I have also used Atmel Studio (Visual Studio 2010 shell) which certainly has its place. If the strict compatibility rules VisualMicro currently follows were to be loosened a bit – and the Arduino focus widened a bit – I could see some great potential there. As for now – I only use it because it integrates with source control (Atmel Studio does not). Is always a placer to have this contributions. If I understand your pov, to “play around” with arduino in maker mode, maybe this is good enough. Hi, Thanks for the comment. 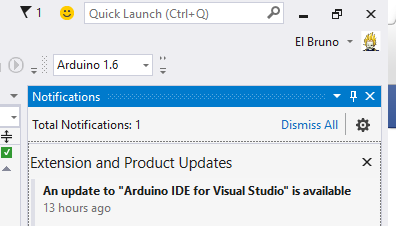 You will find in the recent releases of Visual Micro that you can now break the Arduino rules such as ignoring the files in the sketch folder (which is what Arduino compiles) and instead we can use the Visual Studio project/solution to include files from the sketch folder, sub folders or other Arduino projects. You will also find a new menu item that allows you to create Arduino libraries more easily. In fact you can now create an unlimited number of libraries below any sketch folder. These library sources are compiled in the exact same manner as libraries making it easy to develop, test and then deploy to other users. Historically strict compatibility with the Arduino Ide was forced because it’s easier to support and also protects users from creating programs that can not also be developed and shared with Arduino Ide users. However as a result of feedback this is now optional.